I recently had the privilege to travel to St-Georges de Beauce, Quebec, with several youths and adults from my home church in New Hampshire to assist other area OP churches in conducting the "English for Kids" Camp. This was a Missions trip sponsored by my home church. I would like to briefly share with you what a blessing this trip turned out to be. One night while up in St-Georges, I led our Missions team in a much needed time of prayer. For me it was the most powerful moment and memory of the week! It had been a long, exhausting day. We were locked inside all day, as it had rained all day. Also, I and others were “dealing” with headaches and frustrations. Going to the Lord our God in prayer, we poured our hearts out to the Father, asking Him to watch over us, guide us, and give us the strength each day to serve with kind, caring hearts towards those children enrolled in the camp. Together we prayed for all the children who were attending the camp as well as for the whole community of St-Georges to be awakened to His truth and His great light. We prayed that the Good News would continue to spread and prick the hearts of the people. We prayed the Holy Spirit would work within us, grow within us, and plant new seeds in the lost and broken. It's a dark place up there and the need for Him is great. Our need for Him is great as well. On this particular day, because of my sin, I had lost sight of "the mission" and easily lost sight of why we had come there. Before the prayer meeting began, I had read to the group from God’s Word. I chose Psalm 67. The beginning of that chapter became my anthem for the rest of the week. It reads: "May God be gracious to us and bless us, and make his face shine upon us, that your way may be known on earth, your saving power among all the nations." Unfortunately, on that rainy day I had easily lost sight of the truth that God's blessing was upon us all no matter the circumstance. His face was shining upon us in spite of the rain! I wasn't looking and I didn't see His face gazing on me and the children. I didn't have much peace because I wasn't looking at his awesome power. The theme of the week was Jesus’ power but on that rainy, headachey, frustration-filled day I was relying too much on myself and not looking to Him. For me, I experienced a lot of spiritual growth that week in serving the Kingdom of God, and I also believe that there were many seeds planted in the hearts of the children attending the "English for Kids" Camp. Jehovah God reminded me through times of prayer, reading His Word, and singing His praises, that I wasn't there to "just volunteer" or to act as an overseer. I was there to do His will, showing the campers His way, the only way, and to be a seed planter through the power of Christ. The mission for us was to teach through the English language that Jesus has power over everything. Jesus is who we get our strength, stamina, and salvation from. Jesus is being taught to all the nations and we need Him to shine His face upon us as we serve Him in this way. Look to Him in missions, not yourself. Look to Him from whom all blessings flow. 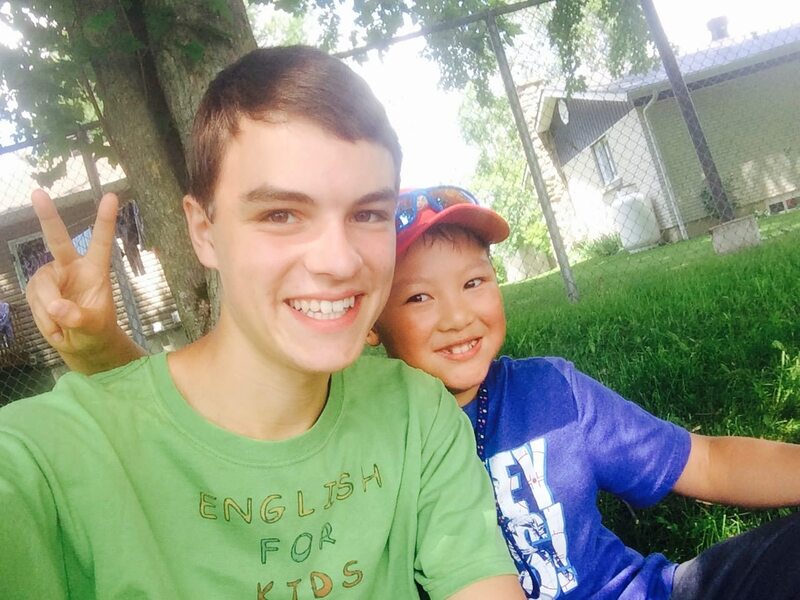 My week in St-Georges at the "English for Kids" Camp was truly a blessing. I pray that I was blessing to those there at the church and to those who attended and are still lost. I am still praying that all those children will be found in Him. He is gracious. He has blessed us brothers and sisters in doing His work. Jehovah God's kingdom is being made known through all the lands and His saving power is over all nations, including Quebec and the town of St-Georges. He is our source of strength and power, as we serve our great God above, until His Kingdom come, may His Will be done. Forever and ever, amen!